Frieza Form 1 Power Level: 500,000. This is the first form of Frieza. 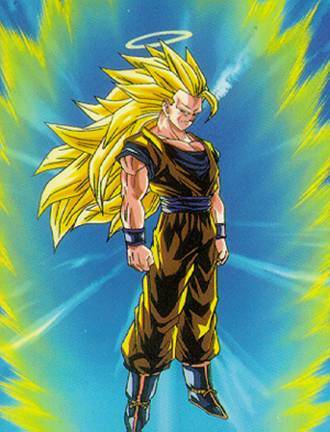 This form is used to hide his true power, making his opponents think they have the upper hand. Still, when he's in this form, his power is still unmatched by anyone. Frieza Form 2 Power Level: 1,000,000. In this form, Frieza is ten times taller compared to the previous form. His horns stick up to where he is like a bull and he is much more bulky. His power doubles and he is much harder to hurt. Frieza Form 3 Power Level: 2,500,000. This form is much different from the other forms, since it looks like one of the creatures from Aliens 2. Both his voices appear in the form, sounding like he is fused or something. He stays in this form for a short time, due to still not having enough power. This is one of Frieza's last forms, where he can hide his Power Level. He goes up in the percentage everytime Goku surpasses him in that level of strength. Frieza starts to win against Goku, until Frieza kills Krillin. Goku fills with anger and rage and turns Super Saiyajin. He then gains the upper hand against Frieza, despite what percent his Power Level went up to. Frieza Form 4 100% Power Level: 12,000,000. This is Frieza's ultimate state in the fight against Goku. The fight rages on for quite a long time, until Frieza throws some Kienzan's at Goku. After dodging them, Frieza jumps in the way on accident, cutting him in half. He still lived, but only after Goku gave him some energy. Not very thankful, Frieza turned and fired off one last blast. Goku countered the attack, blasting him into a even worse state. After Namek exploded, he continued to float around, almost dead. He was later found by his father, King Cold. Cyber Frieza Power Level: 12,500,000. Frieza's form after healing from the battle at Namek. He had been remade into a cyborg, which now only made him even stronger than ever before. He comes to Earth, being rebuilt by his father, King Cold. While on Earth he meets up with Trunks, who kills all of his henchmen with ease. He then kills Frieza with ease, by chopping him into little pieces and blasting him down into dust. This ends Frieza once and for all.